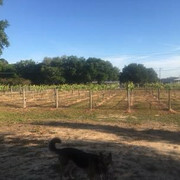 Time for the vines to wake up from their Winter slumber.Already have bunches of grapes pushing out with the bud break.The grapes are always right behind the bud break.I've tried some grafting this year with my favorite varietal called a FAMU which is a hybrid bunch grape and one heck of a producer,that was developed by a Florida university. 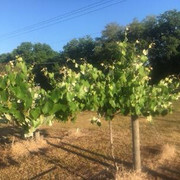 I have around 125 hybrids,and about 35 muscadine vines,on appox. 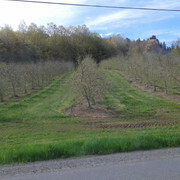 1500 ft. of trellis with a drip irrigation system to save water and money. 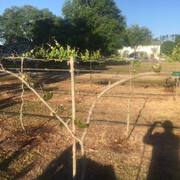 Last season we got enough grapes to make 36 gal. (180 bottles),expenses were under $100 and cost me more to put it in a bottle with a cork in it than the wine did. Below are some pics I took today including my 1st. attempt at grafting.The last pic is my favorite producer a Famu.I got 42 lbs. 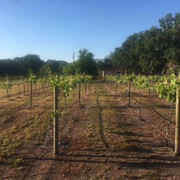 of grapes off the 1 vine last season.The 2 wines produced from this vine won a bronze and a silver medals at the Florida State Fair competition. Thanks for pics and information. The only thing I know about wine making is that grapes an Lucy’s feet are involved. 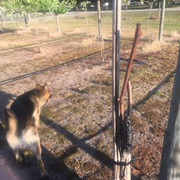 Maybe I’ll learn something about vineyards and wine making from your posts. 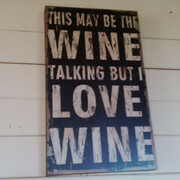 I actually don't mind vineyards so much. 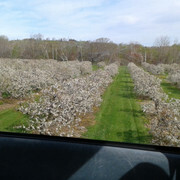 This is what a lot of the "regular" crops look like here in the valley, where mowing or spraying is carried out in order to reduce competition for the pollinators. 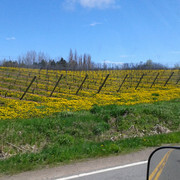 Here is what vineyards look like. 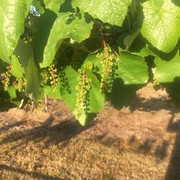 Because grapes are mostly wind pollinated, they don't worry about eliminating the competitive weeds. These places almost look like they planted dandelion. 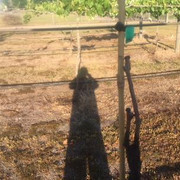 Who knew you could grow wine grapes in Florida! I’m a jam girl, so my concords go into jelly jars!